About two weeks ago, a satellite called Iceye-X1 hitched a ride into orbit aboard an Indian rocket. It's about the size of a suitcase and has already sent its first picture, constructed out of microwave radar reflections, back to Earth. "I personally love this image," said Rafal Modrzewski, the chief executive of Iceye, a Finnish startup that built and operates the satellite, referring to a scene from the Noatak National Preserve in Alaska. "It's full of snow, but it's so much more complex than you think at first." The swath of the park visible in the first image is 1.2 gigabytes of data that encompasses an area about 50 miles long by 25 miles wide. It was made using a technology known as synthetic aperture radar, or SAR. The capability of Iceye-X1 is not by itself groundbreaking. Edward R. Caro, who worked for decades on spaceborne radar instruments at NASA's Jet Propulsion Laboratory in Pasadena, California, said it is roughly comparable in performance to what he and his colleagues put on NASA's 5,000-pound Seasat satellite early in his career. "It would be analogous to what we were flying in 1978," he said. But Iceye-X1, which weighs less than 220 pounds, takes advantage of the miniaturization of modern consumer electronics, largely using off-the-shelf components, and the cheaper rides to space now available. "I can't praise them enough for what they've done," said Caro, who provided some consulting to Modrzewski's team. The price for the first satellite was in the "single digits in millions," Modrzewski said. He said a more traditional radar satellite would cost a hundred times more. The SAR technique takes advantage of the fact that the instrument is moving over the surface of the planet. The echoes of multiple pulses are combined to achieve what would be observed by one pulse from a larger radar antenna. "That's the whole trick with synthetic aperture," Caro said. "It's kind of fooling Mother Nature." Caro also worked on a succession of more capable instruments that flew on the space shuttle. The radar, penetrating several feet below the surface, proved a boon for archaeologists, identifying unseen ruins in the Sahara and along the ancient Silk Road route in Asia. 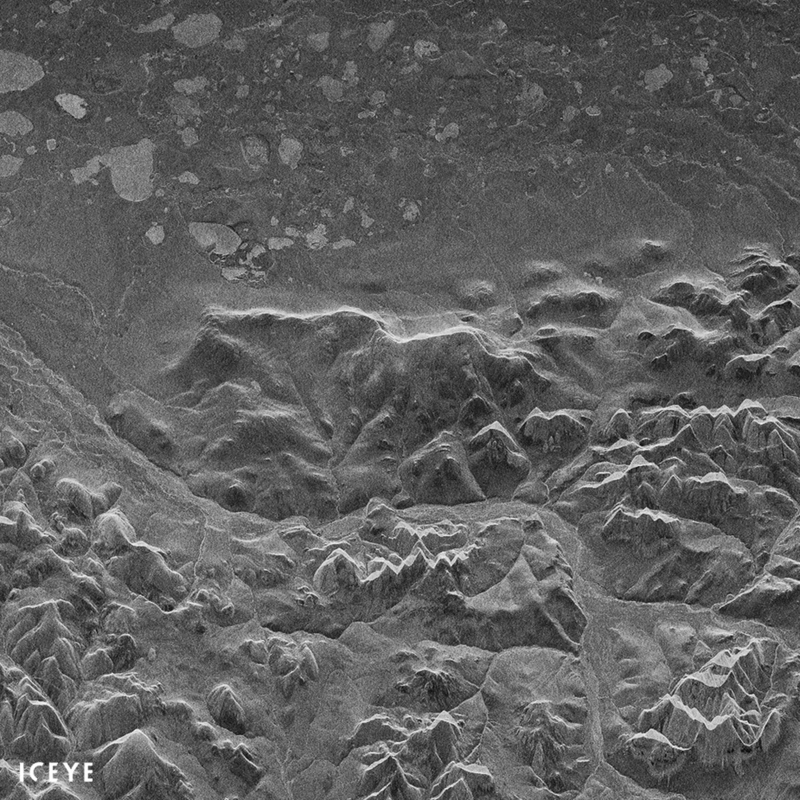 By using pulses of several wavelengths, a radar that flew on the shuttle in the 1990s provided a more detailed picture of terrain below. Short-wavelength pulses would bounce off the top of trees, for example, while longer wavelength radar would map out the terrain of the ground. A middle wavelength gave a measure of the biological material from the ground to the treetops. Plugged into the shuttle's power system, the radar could make continuous measurements, mapping 90 percent of Earth's surface in just 10 days. Iceye-X1 has limitations. The satellite's instrument can take only two snapshots every hour and a half; it spends the rest of the time recharging its batteries. It also sends just one wavelength of radar pulses. On the other hand, shuttle flights at the time cost hundreds of millions of dollars each and lasted a couple of weeks at most. Caro's radars spent most of the time on the ground, turned off. Development took years, and proposals to NASA to send another radar satellite into orbit never came to fruition. 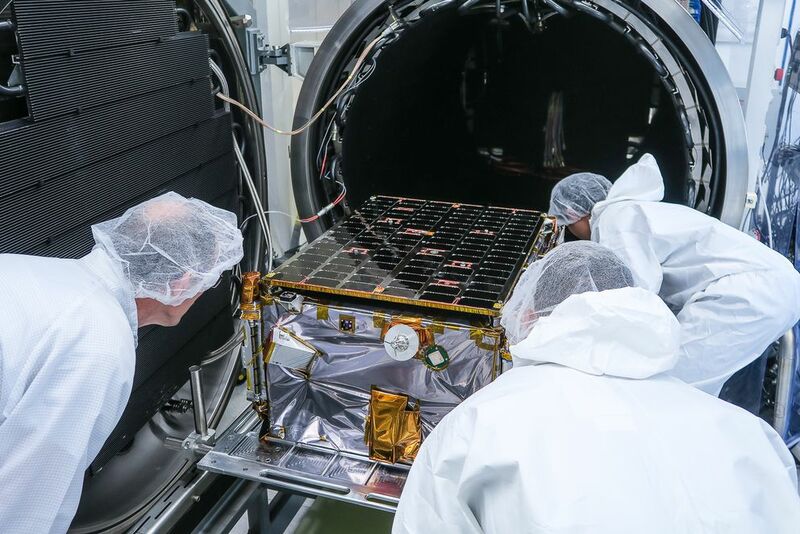 Modrzewski said his company is already developing more capable successors — each one is designed to last only about three years — and a constellation of small satellites could provide world coverage. The next version of the satellite will more than double the ground resolution, Modrzewski said. But the single satellite now in orbit could provide valuable information on sea ice, even at night or when the region is obscured by clouds. "If you're on an icebreaker and you wanted to know the best way to navigate, a SAR image can really help you with that," Caro said. The dream of a bigger, more advanced synthetic aperture radar mission also continues with NISAR, a collaboration between NASA and India's space agency. "All the bells and whistles you can imagine," said Caro, who is participating in the design review. But that mission may not launch until 2021.